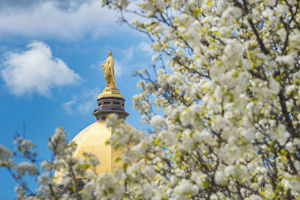 Twenty University of Notre Dame faculty members, including NDIAS alumna Susannah Monta, have received Rev. Edmund P. Joyce, C.S.C., Awards for Excellence in Undergraduate Teaching, and three others have been honored with Dockweiler Awards for Excellence in Undergraduate Advising. Originally published by Sue Lister at news.nd.edu on May 15, 2017.